Making endless trips to the doctor’s office to adjust blood pressure medications may soon be a thing of the past, replaced by home monitoring systems and occasional phone conversations. A new study shows that home monitoring may be more effective. About one in three adults in the United States have hypertension, according to the Centers for Disease Control and Prevention (CDC). 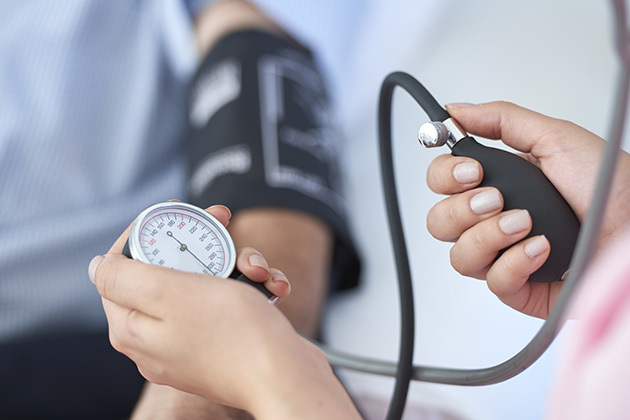 Even with a lenient definition of BP less than 140/90 mm Hg, only about half of those with hypertension have their blood pressure under control. A new, home-based care delivery program developed by Brigham and Women’s Hospital may improve hypertension control rates faster and less expensively than office-based programs. In the development stage of this study, nurse practitioners and pharmacists managed a prospective pilot cohort of 130 participants. The researchers enrolled patients with blood pressure greater than 140/90 mm Hg into the study and provided the participants with a Bluetooth-enabled BP device. In this pilot study, known as Brigham Protocol‐based Hypertension Optimization Program (BP‐HOP), the researchers recruited patients from two clinics: a Brigham primary care clinic and Brigham’s Watkins Cardiovascular Clinic. All hypertensive adults were eligible except for pregnant women and those with advanced kidney disease. Participants measured their blood pressures twice daily. The Bluetooth-enabled BP system automatically transmitted home blood pressure readings into the patient’s electronic medical record. Based on weekly average blood pressure readings, the nurse practitioners and pharmacists would titrate medications by phone at biweekly intervals until the patient could maintain a home BP of less than 135/85 mm Hg. The nurse practitioners and pharmacists used a clinical algorithm, developed by hypertension specialists, which allowed the practitioners to perform rapid assessments and medication dosage adjustments for the participants. A notable 81 percent of all enrolled were able to bring their blood pressures to the target level in an average of just 7 weeks. Ninety-one person of those who regularly measured their home blood pressure were able to gain control of their BP within this time. The researchers published the results of their pilot study in Clinical Cardiology. "This is a striking result, especially given the very short time frame in which control was reached: an average of seven weeks," said corresponding author Naomi Fisher, MD, in a press release. Fisher is the director of the Hypertension Service and Hypertension Specialty Clinic at Brigham. "There are a few notable health care systems that have matched or exceeded this control rate, but most clinical practices do not approach this rate of success." The team plans to scale up the program to test sustainability and use among the population at large. Using home-based blood pressure monitoring system and frequent communication with a health care professional could help prevent hypertension-related cardiovascular events and deaths and do it in a cost-saving way. "The time-honored model of treating hypertension via traditional visits to the doctor is neither effective nor sustainable," said Fisher. "Development of innovative solutions to manage hypertension effectively and efficiently, and thus reduce the cardiovascular risk burden in larger populations, is critical. Organizations can and should develop and adopt innovative technologies to create sustainable solutions for the control of hypertension."